I’m sure many of us are re-cooping from the holiday weekend as I, and are officially ready for the summer. With that comes a new wardrobe and beach wear. Well I have suggestions on just the items that are needed for summer vacays. 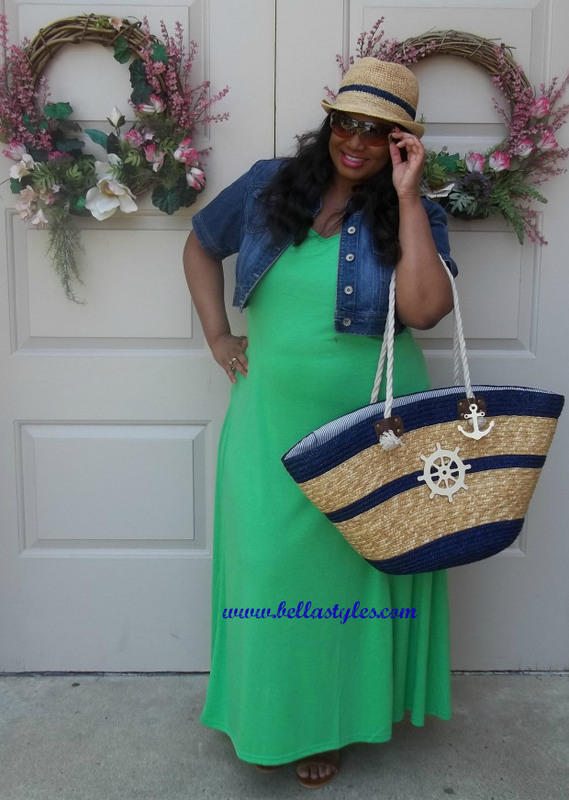 Maxis, sandals, shades and a beach tote…all of which I’m showcasing today in my post. Plus-size retailer Jessica London was so generous to offer me a complete ensemble to highlight their new summer arrivals. In the scorching summer days I like to be as free as possible when traveling or out and about and this tee shirt maxi dress (Now: $49.99 – $54.99) is number one on my list. I’m a sucker for maxis and this one can be dressed up with a denim jacket or worn alone with a wide belt or bold jewelry. The dress comes in 5 different colors and is available in sizes 12-40. 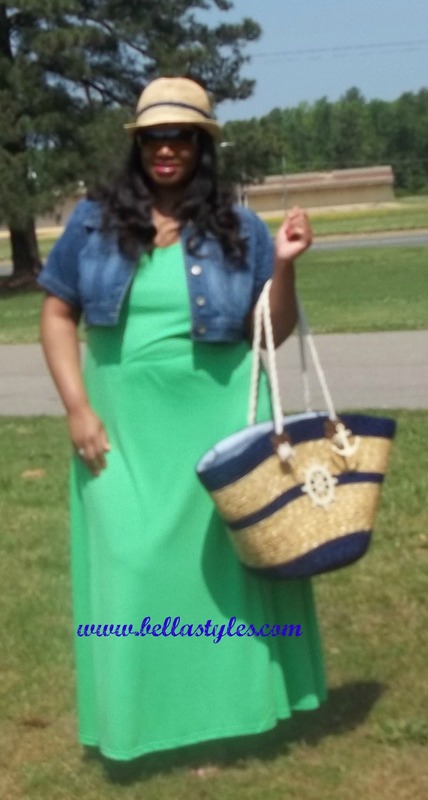 I’m wearing the bright jade color and this dress really felt like a comfortable tee while wearing it. I will be ordering more colors for sure. I paired the dress up with coordinating accessories, the straw fedora ($24.99) and straw bag ($39.99) both also from Jessica London. Oh how I love a big bag and this one holds everything for a day at the beach. 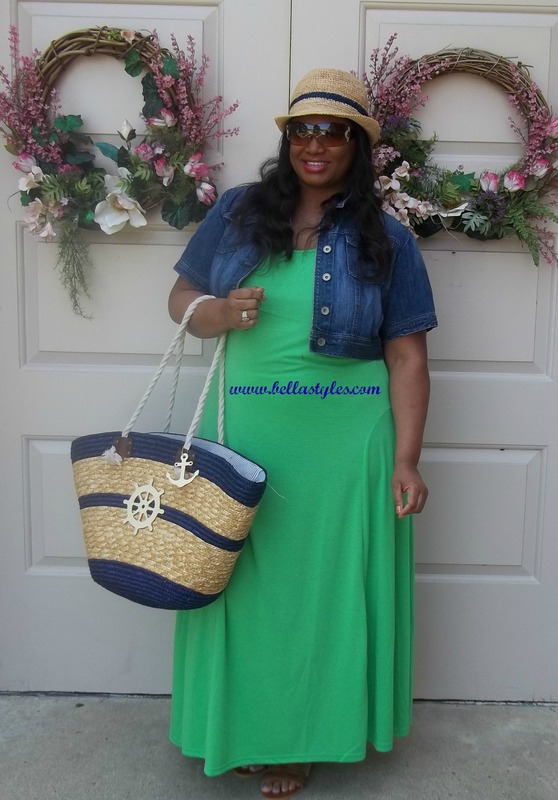 Both the hat and bag are trimmed in navy thus matching the denim jacket. (Jacket my own). Did you know that Jessica London also carries shoes? 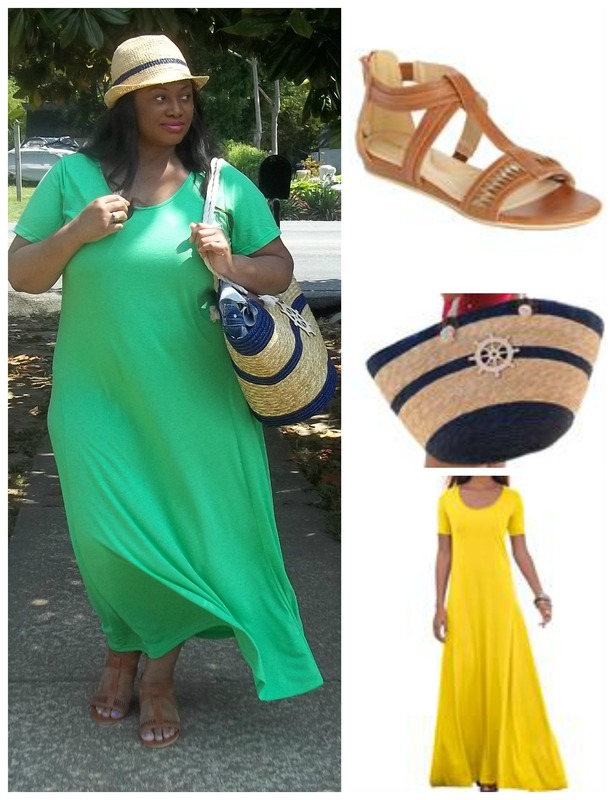 I completed my look with the Zana Sandal by Comfortview® (Now: $39.99 – $44.99) which go from a size 7M-12WW.